On March 30 2017, UNPO submitted a report to the Office of the High Commissioner for Human Rights (OHCHR) for the consideration of the 3rd Universal Periodic Review of the Islamic Republic of Pakistan. This report, submitted five years after the state’s second cycle UPR, examines the situation of human rights in the country, drawing attention to ongoing violations that affect particularly the ethnic and religious minorities living in Sindh, Balochistan and in Pakistan-occupied Gilgit-Baltistan. 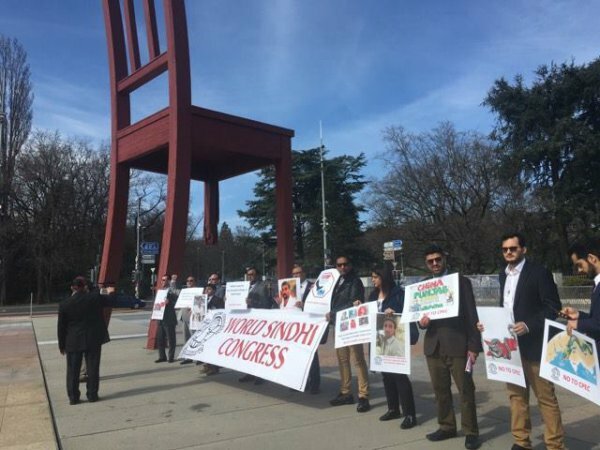 In 2012, UNPO’s report on the occasion of Pakistan’s second cycle UPR focused on the critical issue of enforced disappearances in Sindh and Balochistan, and on the severe natural disasters that had struck the country, particularly affecting Gilgit-Baltistan. While these issues aggravated the situation of the ethnic and religious minorities in these regions, the Government of Pakistan failed to address them effectively. UNPO’s recommendations to Pakistani authorities included the ratification without reservation of the International Convention for the Protection of All Persons from Enforced Disappearance, transparent investigations of each case of alleged enforced disappearance, assurance that perpetrators are identified and prosecuted (transparently and in accordance with the International Covenant on Civil and Political Rights), and the ratification without reservation of the 1951 Convention relating to the Status of Refugees and the 1967 Protocol. Since then, there has been a lack of tangible progress regarding human rights in the country – in some cases, even regression. Residents of Pakistan-occupied Gilgit-Baltistan remain without political autonomy or a working legal system that could provide human rights protection for local indigenous peoples. Enforced disappearances, extrajudicial killings, torture, violence against children and women (domestic abuse, sexual violence, forced marriages, forced religious conversions, honour killings) and lack of implementation of the rights to fair trial and freedom of speech and assembly – UNPO’s new report shows that these are all recurrent issues in Pakistan. Human rights violations are further fostered by the Anti-Terrorism Act (ATA), with civilians accused of blasphemy laws and other non-terrorism related charges being prosecuted in military tribunals that were supposed to be limited to terrorism-related offenses. In fact, the very definition of terrorism in the Pakistani Constitution remains vague and, therefore, susceptible to multiple interpretations and to misapplication. Ambitious economic and infra-structure ventures taking place in Gilgit-Baltistan, Sindh and Balochistan, including the China-Pakistan Economic Corridor (CPEC) and the construction of megadams, entail severe impact for the environment and cultural heritage. Furthermore, local populations have not been given voice in the decision-making process regarding these plans, and many have been evicted without compensation to make way for military camps and CPEC-related projects. Among other recommendations, UNPO’s report urges the Government of Pakistan to ensure the exercise of all human rights to religious minorities with no discrimination, to ratify the International Convention for the Protection of All Persons from Enforced Disappearance, to specifically criminalize enforced disappearances and to ensure perpetrators are identified and prosecuted, and to release political prisoners, including more than 100 protesters from Gilgit-Baltistan (2016) – who peacefully demanded religious freedom for Shias – arrested under charges of terrorism.